plant-strong | (m)EAT LESS, RUN MORE! 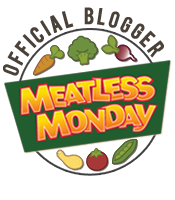 Meatless Monday: Esther the Wonder Pig! Has anyone not met Esther yet?! Esther took Facebook by storm! Since starting the page only about a month ago, Esther has over 20,000 likes! She also has a web site, a YouTube channel, and a twitter account (see other links from the web site)! She was adopted under the assumption that she was a … Continue reading Meatless Monday: Esther the Wonder Pig!